The wedding veil predates the importance of the wedding gown by hundreds of years. Each era and culture has revealed a different and beautiful way to cover the bride's head. In early centuries, Hebrew, Greek and Roman brides wore veils of many colors threaded with gold and silver, some sheer, and some not. In ancient Rome, the bride's head was the focus of attention on her wedding day. Because she was considered to be vulnerable to evil spirits, her hair was styled with a spear point to drive them away, and was then set into six locks, which were probably a sign of a respectable wife. The bride's hair may also have been decked with a garland of flowers but historical records only show the veil. The bride's veil, known as the flammeum, is assumed to have been "flame-colored" and was a symbol of their intent to remain married for life. The veil was a key part of a Roman wedding and was considered one of the main symbols of marriage. The word "nuptial" comes from nubo, which means, "I veil myself." Ancient Chinese held a sacred umbrella over the bride's head as protection. In Far Eastern countries, it was also commonly believed that the evil spirits were attracted to women, so they wore veils as protection. The custom continued for centuries and, in time, changed into a symbol of obedience, modesty, chastity, and submission. This custom persists in many cultures today. It is believed that the veil may have become used on the wedding day in other cultures to separate these evil spirits from the bride on her special day. During the Middle Ages, Crusaders introduced the veil into European cultures following their journeys and conquests in the Far East. In early European arranged marriages, the bride was bargained for through her father. The bride was swathed in a bridal veil and revealed to her husband only after the ceremony, at which point the transaction could not be reversed if he was unsatisfied. 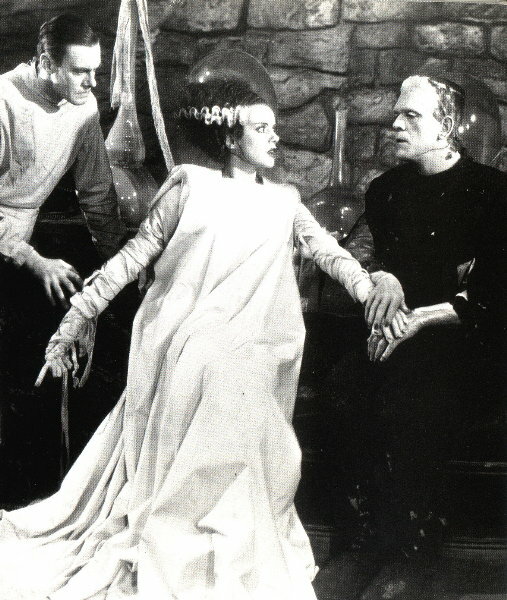 Unfortunately it was of little concern in those days whether or not the bride was unhappy with her husband. Some also believe that the veil may be a remnant of a time when a groom would throw a blanket over the woman of his choice and carry her off. In Southern Europe early Christians traditionally placed a large cloth over both the bride and her groom during the ceremony. In 15th Century Europe the bride wore a fancy conical headdress topped with a toe-length veil. Nellie Custus, bride of Major Lawrence Lewis, an aide to President George Washington, was recorded as the first American bride to wear a veil of lace for her wedding. Nellie chose lace for her ensemble because her fiancé had once seen her face through a lace curtain and had been completely taken with how beautiful she had looked. The modern veil has evolved through the years as a response to both the economic and political climate. Elegant veils of lace and silk became popular for many years. During the 1940's clothing materials were rationed and royal brides in England used less material in their gowns and veils. Where before veils had been long, they were now no more than shoulder length and attached to a Juliet cap or a hat. 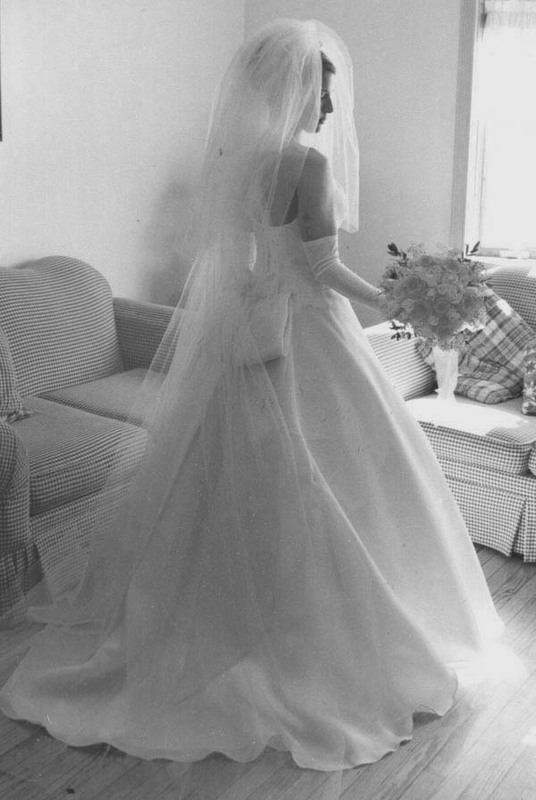 After World War II, with the advent of nylon, veils incorporated synthetics and took on a bouncy and full effect softly framing the bride's face. The bridal headpiece and wedding veil have become an important part of a bride's attire in today's weddings, each making a statement as individual as the bride wearing it. Unless your house of worship has particular requirements regarding how your veil is worn during your ceremony, there are no rules! Do whatever suits your taste and have fun! Let us help you make your wedding headpiece, or bridal tiara and veil as unique and special as you are. Please feel free to email us if you have any questions. This does not look like a happy bride! Yikes! Just like in our article, "The bride was swathed in a bridal veil (of bandages) and revealed to her husband only after the ceremony, at which point the transaction could not be reversed if he was unsatisfied. Unfortunately it was of little concern whether or not the bride was unhappy." One of our many beautiful brides "Jaime"